ANZAC Day is near, this year being the 100 year anniversary of the landing in Gallipoli. It is also a day of rememberance of all the Australians and New Zealand troops who served and died in war, conflict and peace keeping operations. I am unsure exactly where the ANZAC biscuit tradition came from. Wikipedia suggests it was because the biscuits were sent to soldiers by their wives when they were abroad, due to the ingredients not spoiling quickly and since they kept well during transit. 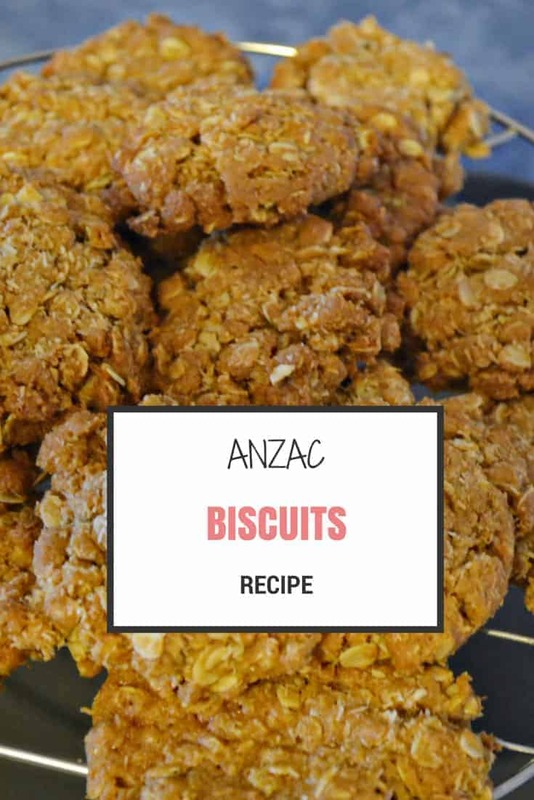 One thing is for sure, they are an enjoyable biscuit treat and easy to make so why not bake yourself a batch of ANZAC biscuits this ANZAC Day. 1. Preheat oven to 150 degrees Celsius and line a baking tray with baking paper. 2. Sift flour & cinnamon in bowl. Mix in oats, coconut, and sugars. 3. Combine butter, syrup and water in small saucepan over a low heat. Stir until butter melts. 4. Remove from heat and stir in bicarbonate. Immediately add to dry ingredients and stir until well combined. 5. Roll mixture into balls and place on lined tray, leaving approximately 3 cm between them. Use fingers to flatten to 1cm thick. 6. Bake for 15-20 minutes until cooked. Remove from oven and allow to cool for a few minutes before transferring to wire rack. For a chewier ANZAC Biscuits, a shorter baking time of 15 minutes is best and up to 20 for crunchy biscuits. 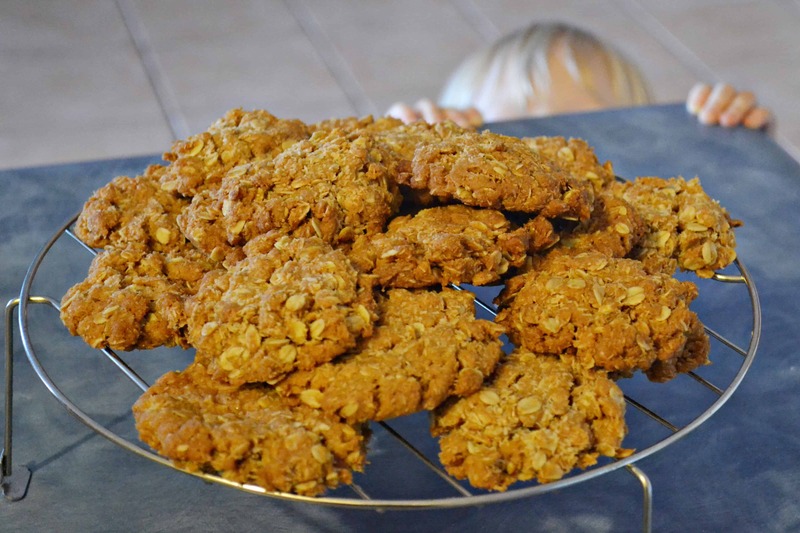 This recipe makes around 20 medium sized ANZAC biscuits, however you could make extra large or tiny bite sized versions if you prefer. Do you prefer your biscuits chewy or crunchy? I’m a fan of chewy Anzac biscuits. Yum. I’m planning to make Anzac biscuits with my girls on Saturday but can’t seem to find my usual recipe so I’m going to give this one a go instead. Oh, and definitely chewy!